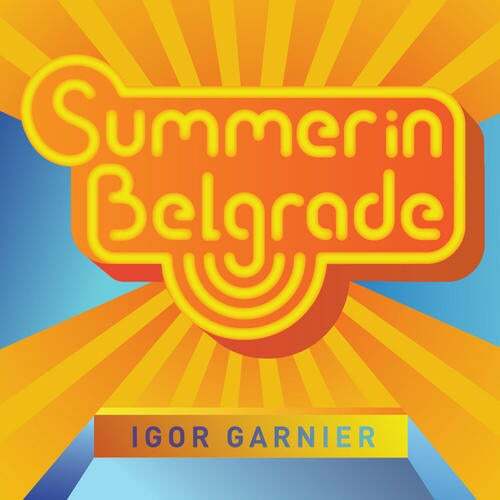 Broken Records presents the debut release from Igor Garnier out of Belgrade, Serbia. Belgrade is the New York or Las Vegas of Eastern Europe and is always on The party never ends. Summer in Belgrade is a bumpin track with bright piano samples that stick 2 your ears and ignites the summer spirit in you, no matter where you are or what season is it. The track features a well staged break-down with uplifting pads and sampled vocals that brighten your mood and leads you to the dancefloor. This is the epitome of the perfect peak-time floor burner. Strings of Belgrade Belgrade is a city that partys 24/7 and this song represents it! This version is filled with groovy rhythm and fat bass that will rock your world. It features a catchy piano melody, and the violin samples have you humming along as you cant get them out of your head! This is a peak time monster. Igor learned to play the piano at the age of 6. As a very successful pianist with vast array of international rewards, he went on to attend the prestigious Music High School and then European Music University with a major in Music Production, Music theory and piano and Engineering. Electronic music consumed him in 2005, where he realized that because it has so many different layers, he could form complex harmonies and create simple rhythm underneath, thereby forging his own path in the world of Electronica. He managed to improve his studio equipment and increase the number of instruments and accessories that it soon rivaled many professional. DJing soon became the output for his creativity, the technique of mixing came easy for him as for all of his life he was surrounded by musical gadgets and his musical taste is chiseled in years of listening and learning music. By 2007 he was headlining in various Belgrade DJing playing live. The music that he is making and ability to combine dance music with lyrics that have an emotional feel and over-the-top catchy choruses makes him one of the few young artists that are taking it to a higher level. His tracks and remixes are played around the globe on radio stations and in clubs.